There are literally hundreds of Oregon waterfalls. Many flow year-round and are easily accessible to everyone. A photographer could spend a lifetime just on these beauties (and I think some have). Every part of the state has some kind of waterfalls. For now, I am going to list them by region. 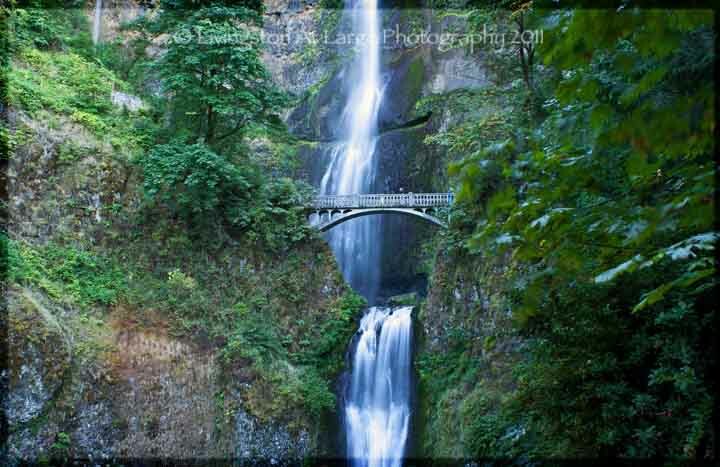 Some of them will also be cross-listed in their area pages, like Tumalo-Falls, Central Oregon and Multnomah Falls, in The Columbia River Gorge. I am also working section by section, so if you see something that says "Read more about this" and the link is not active, I am still working on the page, contact me for specific info. These are the ones I’ve been to, so this will probably be the most frequently updated page! I hear of a waterfall we haven't been to yet, and we're off. Central Oregon has quite a few nice waterfalls, many within 30-ish miles of Bend. They’re easily accessible when they’re not snowed in. When they are snowed in, they are even more fantastic if you have a snowmobile and can get in to them. 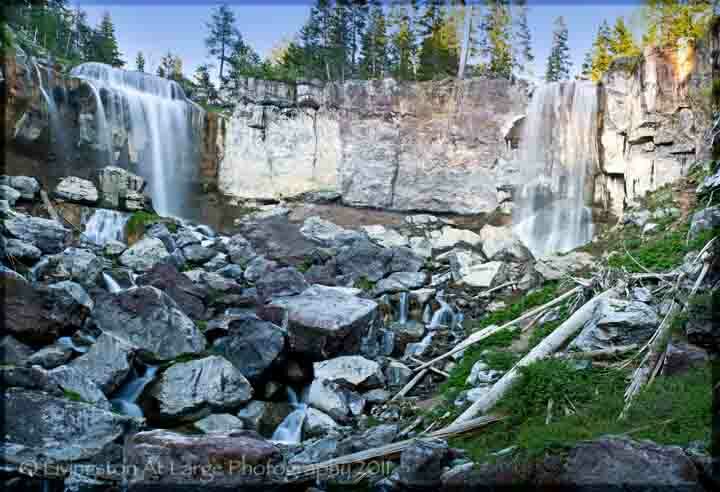 Click here for more on Central Oregon Waterfalls. 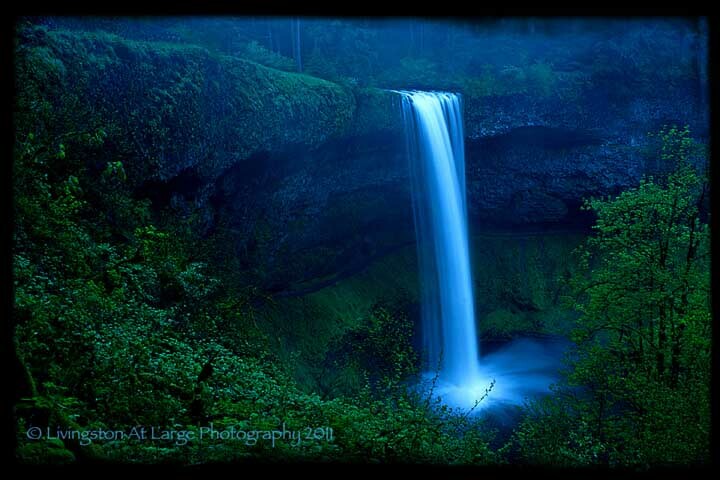 The Willamette Valley is home to Silver Falls State Park, home of the Ten Falls Trail and many, many other waterfalls. river that starts high in the Cascade Mountains. The trail crosses over several tributaries of the McKenzie River using log bridges. 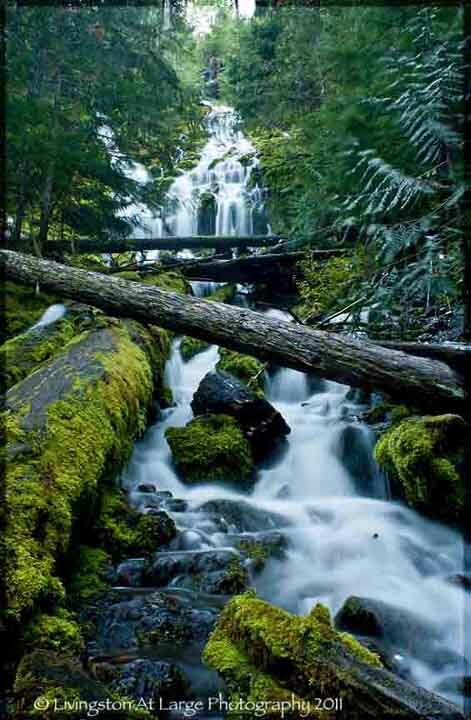 The lower sections of the trail go through stands of 600 year old Douglas-fir forests, and the upper sections of the trail pass spectacular waterfalls and lava flows. Proxy Falls (Upper pictured), in the Three Sisters Wilderness Area is another of the really popular waterfalls on The McKenzie Hwy. Salt Creek, the second tallest in Oregon on the Willamette Pass, and many others are very popular year round. 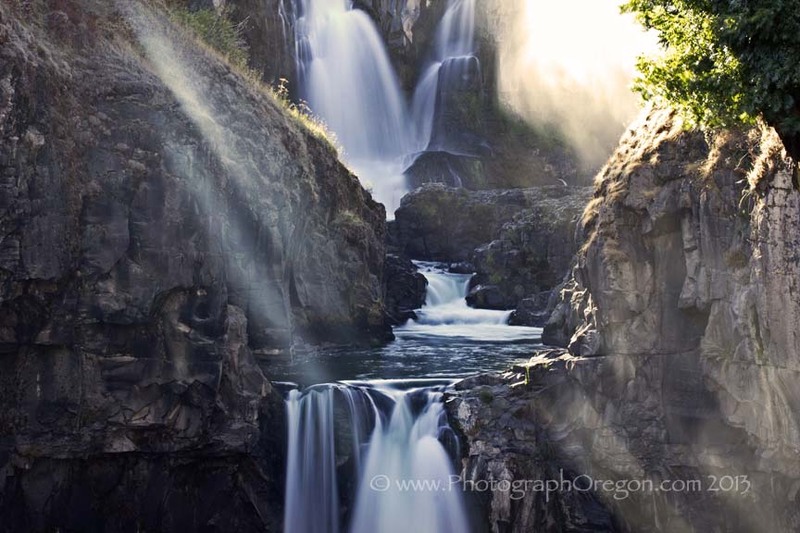 Located in White River Falls State Park these falls are easily one of the most favorite of the Oregon waterfalls, they stand alone out on the White River just east of Tygh Valley along Highway 216 near Maupin, Oregon. Water cascades from a wall to a pool then drops again to another pool, past the old hydro plant and then on to the river and down over another set of falls.